Since 1971, The Witches� Almanac has been the source of wisdom and magical lore for thousands of readers all over the world. Modeled after the Old Farmer�s Almanac, with a bit of magic built-in, it includes information related to the annual Moon calendar (weather forecasts and horoscopes), as well as legends, rituals, herbal secrets, interviews, and spells. 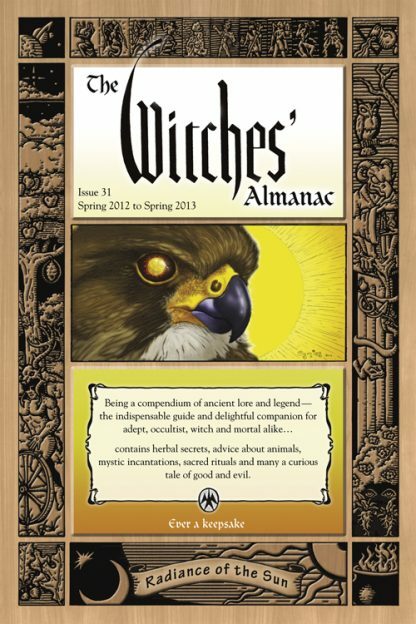 The theme of this year�s Witches� Almanac is the Radiance of the Sun. Read about bottle trees, the legendary ghosts of Gettysburg, theatrical Janus masks, frog folklore, the curse of the Hope Diamond and the magick of tattoos. This edition of The Witches� Almanac also features an exploration of the Tarot Sun card by renowned author, Paul Huson and so much more!